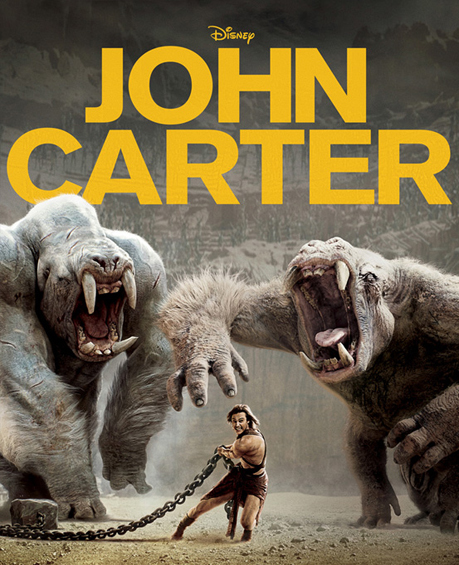 “When I saw you, I believed it was a sign… that something new can come into this world.” After many months of keeping our lips sealed, we’re pleased to announce our involvement in the forthcoming Disney film John Carter. Three years ago, writer and director Andrew Stanton approached us to produce a number of crew T-shirts for a new live action film based on Edgar Rice Burroughs’ Barsoom novels. We obviously jumped at the chance to be involved and were lucky enough to go behind the scenes at Shepperton Studios to meet the crew and watch part of the filming process. On March the 9th to coincide with the film’s release, we will reveal this official John Carter Crew T-shirt to you and also have a number of them available to buy for a limited period of time.